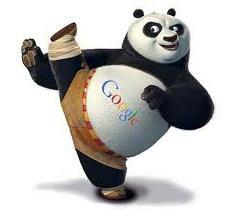 Google Panda Update 3.9 On July 12th? I have been surfing through many threads at Webmasterworld and found that many webmasters are claiming to have noticed a drop in their SERP ratings and keyword rankings, hence a traffic drop too.But the update has not only been bad, there are several other bloggers saying that their rankings seem to have gone up with an unexpected increase in traffic from Google search. If it is true, then this update has come just over 12 days after the previous update, which was the Panda version 3.8. Here is the thread where a lot of discussion on the possible Panda 3.9 version update has been going on. While this is a good sign for bloggers and webmasters as they are given chance after chance by Google to recover from the panda update, it has been a source of despair for some other bloggers whose sites have been penalized by Google Panda. There is no conformation from Google that there has been a refresh of the Panda algorithm, but we at techgau.org seem to think so. Let us know if you experienced any traffic drop/increase in traffic since yesterday.Leave a comment, all comments are welcome!